Scale of UK housing shortage revealed Jump to media player As a BBC Inside Out investigation reveals the scale of the UK's housing shortfall, the government says it wants a million homes built in England by 2020. Rogue landlords 'creating misery' Jump to media player The Local Government Association, which represents local authorities, has said councils in England should have the power to jail rogue landlords. Right-to-buy 'to hit affordable homes' Jump to media player Rural housing campaigners are warning that the government's plan to extend right to buy legislation will decimate the provision of affordable homes. The government says it wants a million homes built in England by 2020. 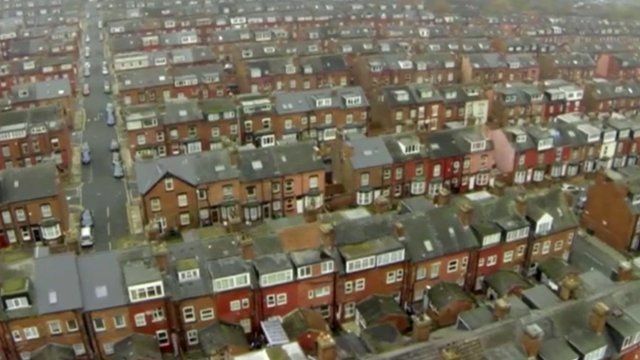 It comes as a BBC Inside Out investigation reveals the scale of the UK's housing crisis. The National Housing Federation estimated 974,000 homes were needed between 2011 and 2014 but figures from 326 councils showed only 457,490 were built. Home editor Mark Easton reports. Inside Out's housing special is broadcast on BBC One on Monday, 21 September at 19:30 BST and nationwide for 30 days thereafter on the iPlayer.